Acid reflux, also called heartburn, is a burning chest pain that starts behind your breastbone and moves up to your neck and throat. To control acid reflux, you’ll need to make some basic diet and lifestyle changes. 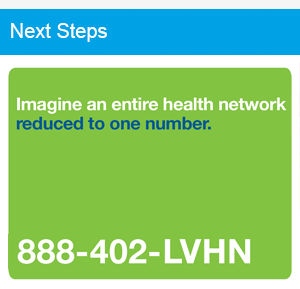 These simple steps, recommended by Lehigh Valley Health Network (LVHN) specialists, may be all you need to ease the discomfort. Limit alcohol, caffeine and fizzy beverages. All increase acid reflux. Reduce how much chocolate, peppermint and spearmint you eat. These can worsen acid reflux in some people. Don’t forget to also watch when you eat. “As a general rule, do not snack before going to bed and avoid lying down for three hours after eating,” surgeon Scott Beman, MD, with LVPG General, Bariatric and Trauma Surgery. How do you choose to snooze? Your nighttime posture not only contributes to your comfort, it also affects your health. “You can also limit reflux by raising your head and upper body by 4 to 6 inches when you’re lying down. Do this with Put blocks or bed risers under the head of your bed frame to raise it,” Beman says. Healthy lifestyle choices can often relieve symptoms of acid reflux, says Beman. “I advise my patients to eat smaller, more frequent meals, and if needed, to lose weight. You should also limit your use of aspirin or ibuprofen and don’t exercise close to bedtime.” Some other changes to make: don’t smoke and avoid wearing tight fitting clothes. “Each of these lifestyle changes can reduce your risk of reflux,” Beman says. Learn more about acid reflux and treatment options available to you at LVHN.org/refluxguide.